The Arizona Supreme Court will decide on whether a woman's medical privacy was violated during the case. 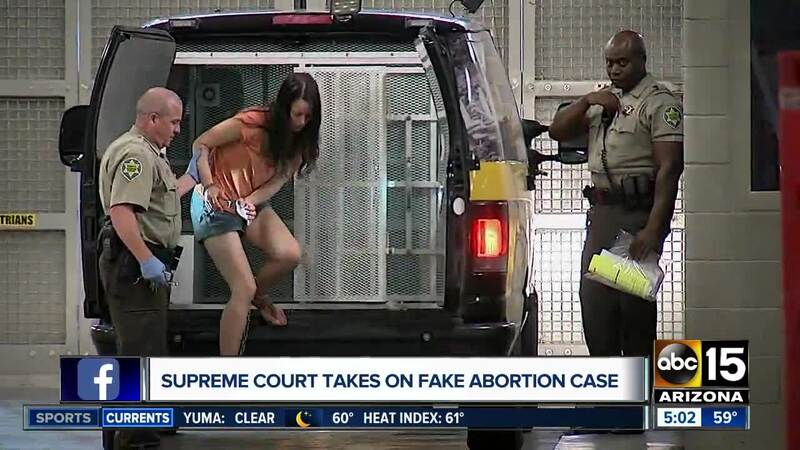 PHOENIX — The Arizona Supreme Court has upheld the conviction of a woman who was found guilty on fraud and other charges for faking a uterine cancer diagnosis to get the state to pay for her late-term abortion. The court on Monday rejected Chalice Renee Zeitner's argument that a lower-court judge had breached her physician-patient privilege by letting prosecutors use her medical records at trial. The Arizona health care program in which Zeitner was enrolled covers the cost of abortions in limited circumstances, such as when a mother's life is endangered. Another doctor who was listed on medical records as having treated Zeitner for cancer later said he never treated her. Zeitner's lawyer had told jurors at trial that his client genuinely believed she had cancer and didn't set out to defraud anyone. The state Supreme Court concluded it couldn't see how the Arizona Attorney General, which has a unit devoted to Medicaid fraud, can prosecute beneficiary fraud without having access to relevant communications between patients and doctors. "It is the very information contained within these communications that forms the foundation of the fraud charges," the Supreme Court wrote. In the case involving the charities, Zeitner was accused of persuading one charity to buy $7,700 worth of tickets for a gala with the promise of returning the money and providing a portion of the event's proceeds. But investigators say Zeitner canceled the event and instead spent the money on personal expenses.